The Badlands of South Dakota, Badlands National Park. 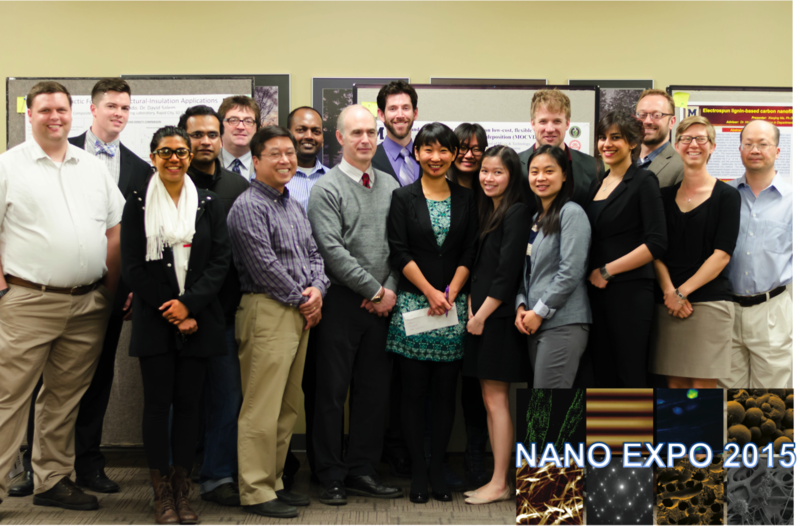 Nano PhD student's presented posters descrbing recent progress on their dissertation research to faculty, students and the general public. When: Announced on 3/19/2019 (Chan-Zuckerberg announcement, SDSMT announcement). Clash of the Titans: Immune cells attack programmed targets: Live macrophages (immune cells, shown in magenta) uptake (phagocytose) antibody labeled target cells (erythrocytes, shown in blue) visualized by lattice light sheet microscopy (credit: Brandon Scott, Robert Anderson). Future Nano grads contemplate much during annual Nano party. 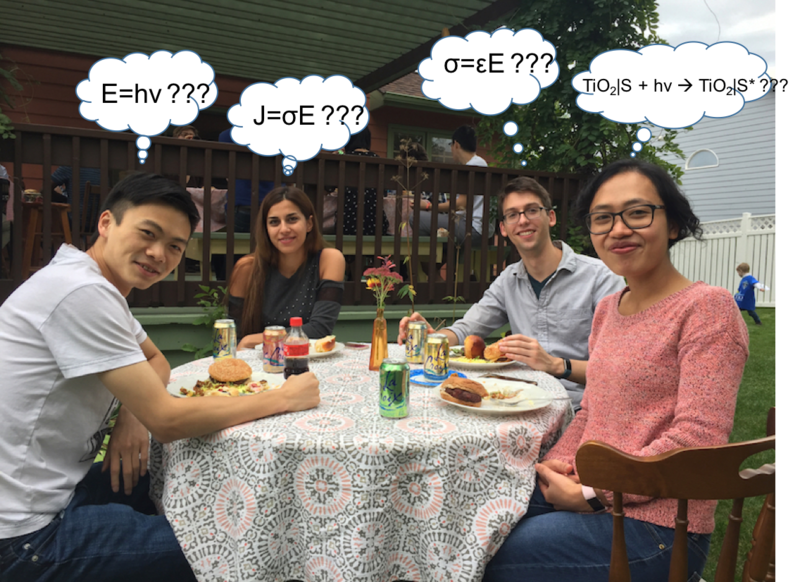 Photogenic and thoughtful Nano PhD students enjoy good food. 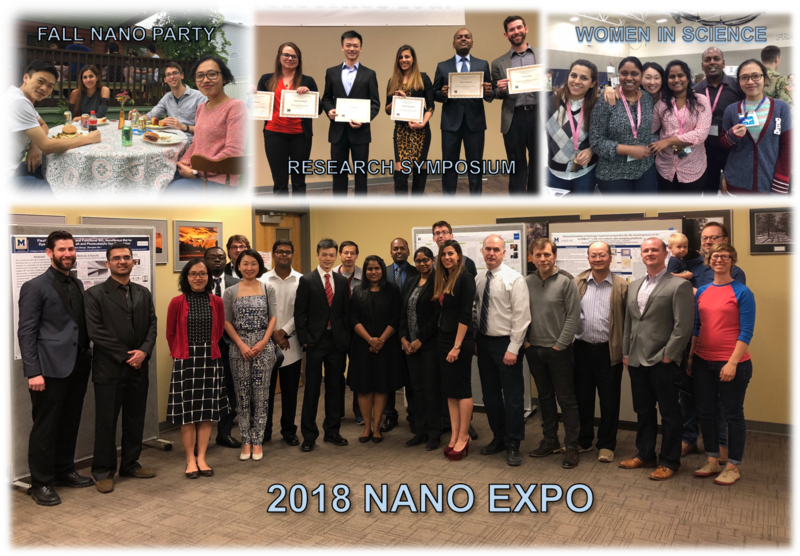 17 Nano PhD student's presented posters descrbing recent progress on their dissertation research to faculty, students and the general public. 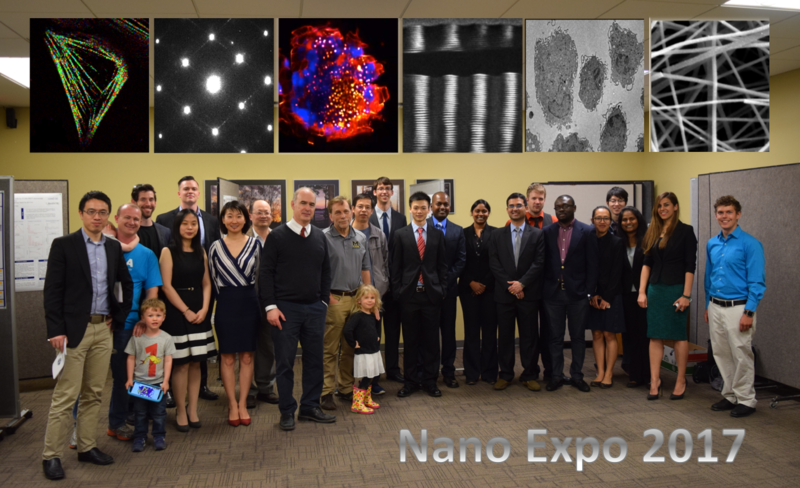 Group photo from Nano Expo 2017, including nano kids ... inset: FRET/FLIM image of HEK cell; electron diffraction from epitaxial thin film; multi-photon imaging of phytohormone levels in soy bean root nodules; TEM image of epitaxially formed quantum wires on lattice mis-matched virtual substrate; TEM images of macrophages; electrospun nanofibers. 16 Nano PhD student's presented posters descrbing recent progress on their dissertation research to faculty, students and the general public. 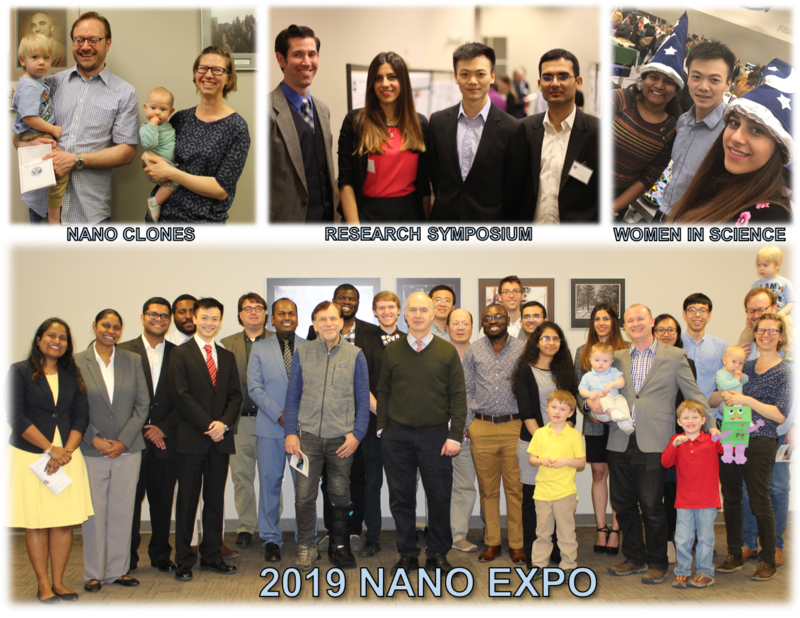 17 Nano PhD student's presented posters descrbing recent progress on their dissertation research to faculty, students and the general public. Media coverage from local TV and Radio followed the event. A group photo was taken at the conclusion of the day. 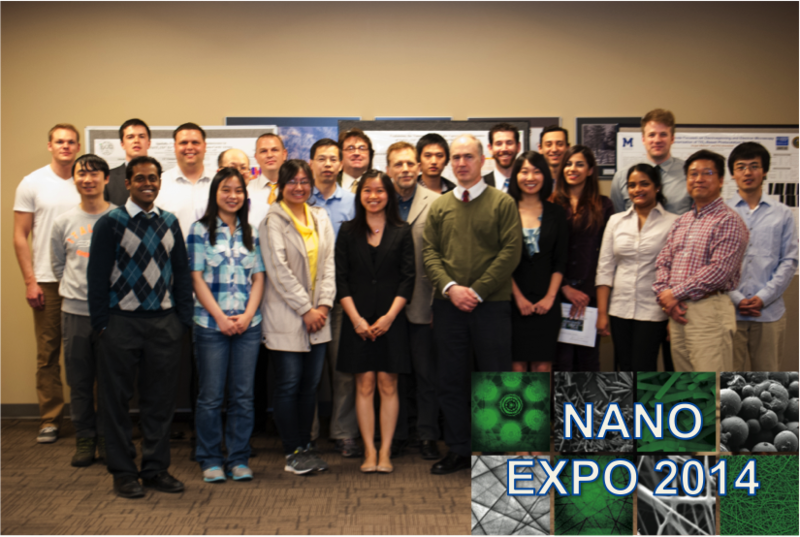 Participating faculty and students at Nano Expo 2014 after a job well done. Thanks to Eric Schmid for organizing the event! 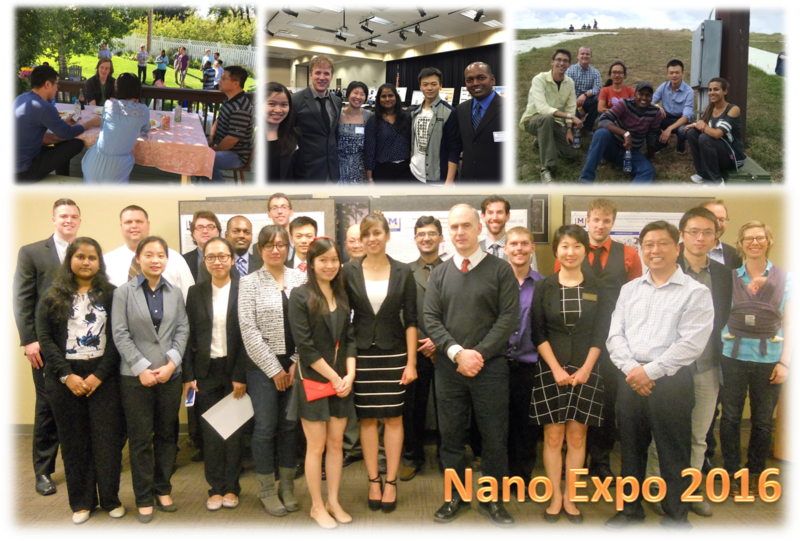 New students got a chance to mix with other students and faculty in the Nano program. 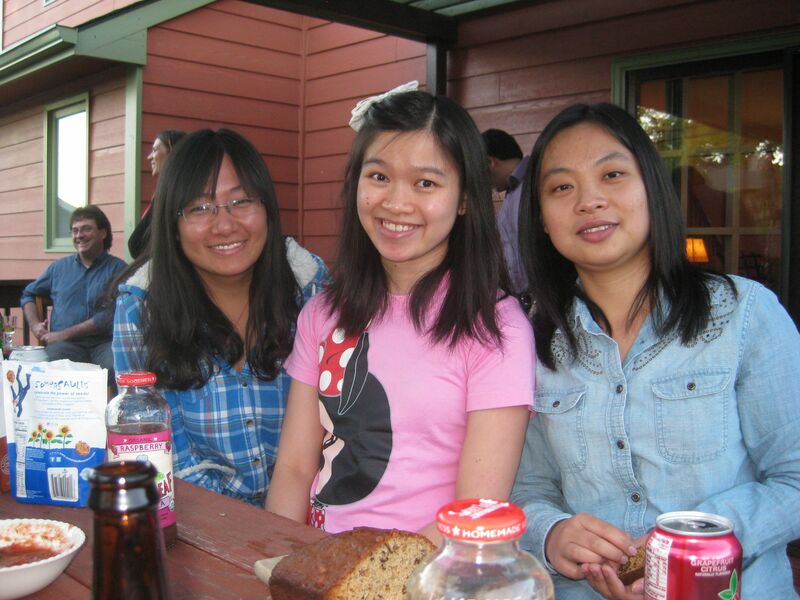 Ms. Xiaojing Ma, Ms. Amy Hor, and Ms. Fan Zheng, enjoy good weather and good food. Mr. Mina Iskandar, a Nano PhD student working with Dr. Anagnostou in the area of design and development of microwave antennas, completed a summer internship at Qualcomm in San Diego. 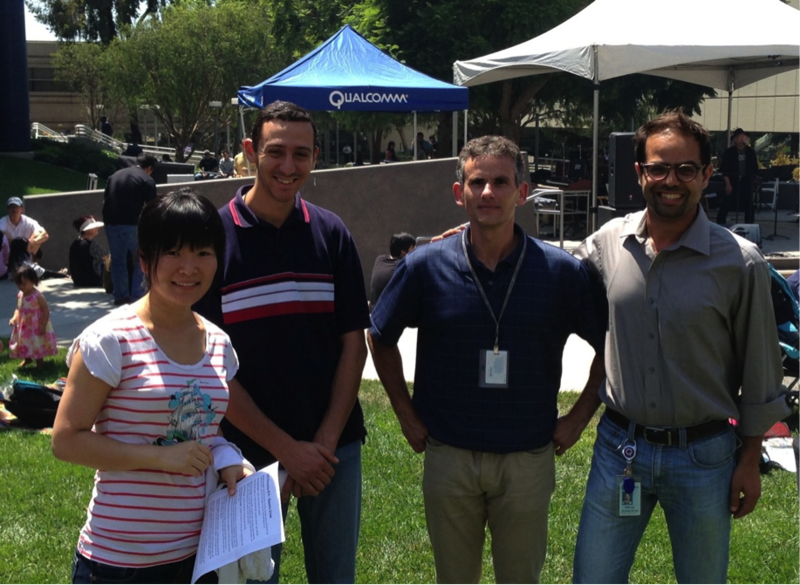 Mr. Mina Iskandar (second from left) with engineering team at Qualcomm campus in San Diego, CA. Ms. Nan Zheng, a Nano PhD student working with Dr. Ahrenkiel in the area of semiconductor heterostructures for solar energy applications was awarded a $5000 scholarship from the Society of Vacuum Coaters. 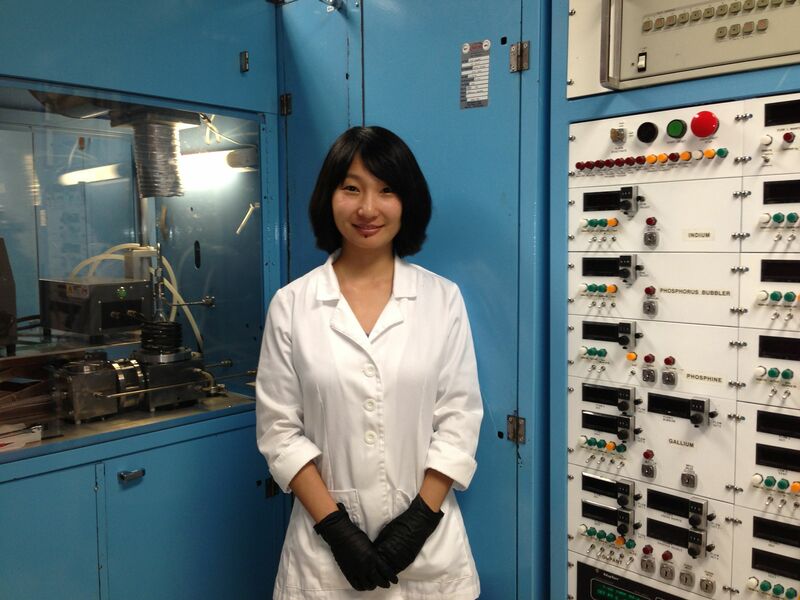 Ms. Nan Zheng, in the Metal Organic Chemical Vapor Deposition (MOCVD) Lab. 4 Nano PhD's were awarded: Qi Chen, Muhannad Al Tarifi, Ravi Shankar and Monika Rathi. We wish them all continued success! Where: Civic Center, Rapid City, SD. Drs. Qi Chen, Muhannad Al Tarifi, Ravi Shankar and Monika Rathi. 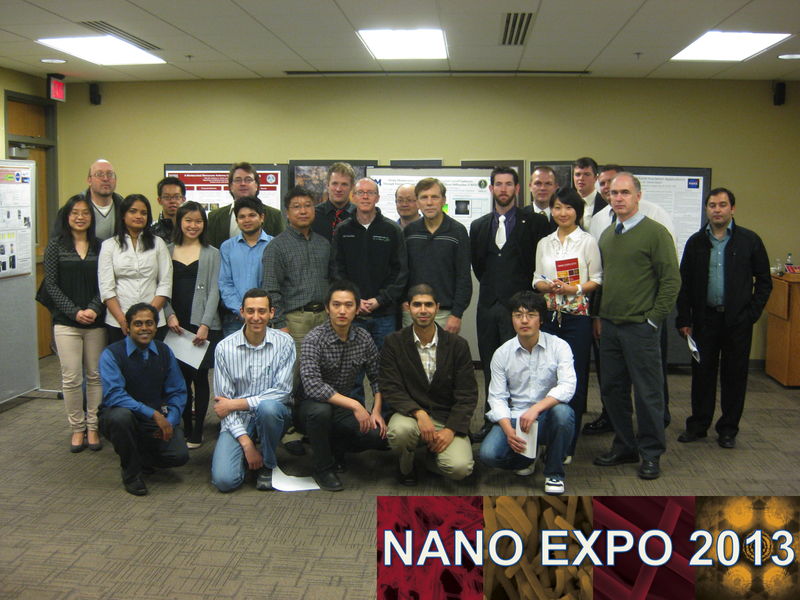 Participating faculty and students at Nano Expo 2013 after a job well done. Thanks to Xiaoxu for organizing the event! Visiting scientists form Brno, Czech Republic visit Nano program labs to study defects in solar cells. 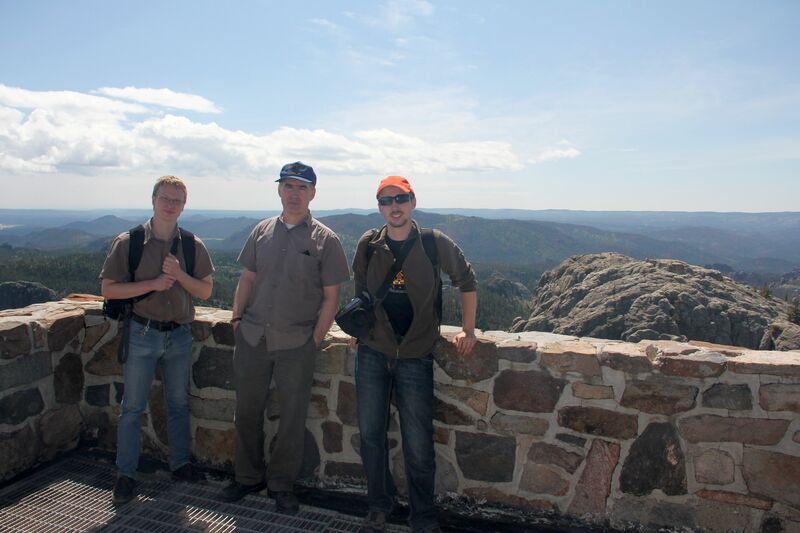 Pavel and Robert from Brno, Czech Republic with Steve at the pump house on the top of Harney Peak. Professor of Physics Greg Salamo, University of Arkansas, visited the Nano program and presented a seminar on coupled quantum well - quantum dots. 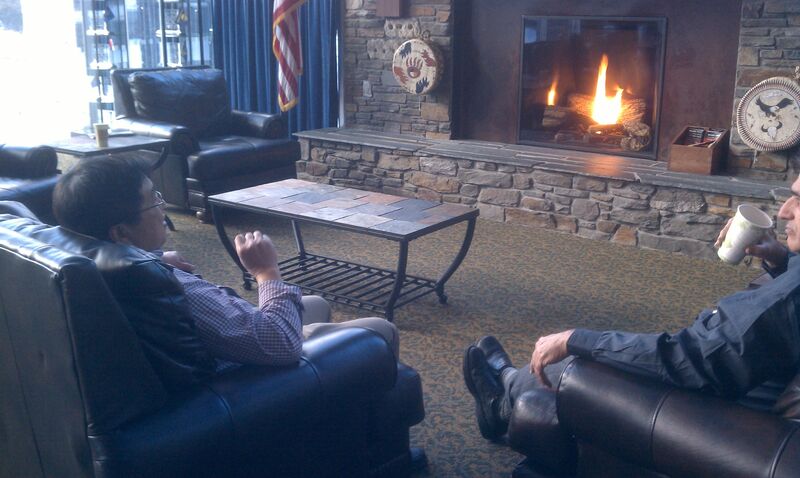 Haeyeon and Greg Salamo discuss the finer points of semiconductor physics by the fire in the visitors center at Mt. Rushmore. 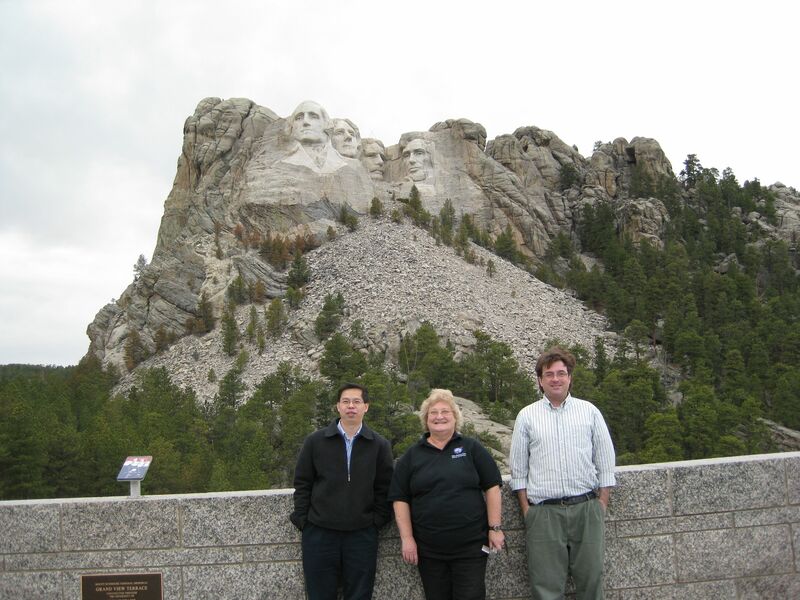 Students and faculty travel to Seattle to present findings at the IEEE Photovoltaics Specialists Conference. 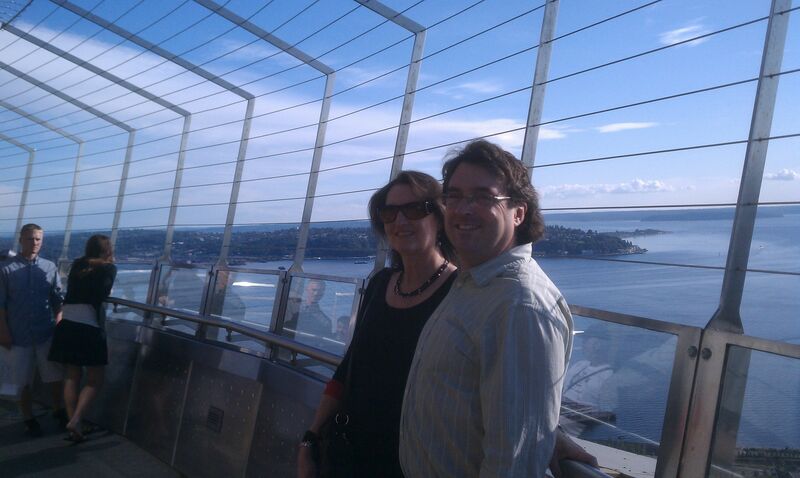 Phil and Marsha check out the space needle. Erin Handberg, Nanoscience and Nanoengineering PhD candidate, is awarded the Mines Medal Graduate Fellowship. 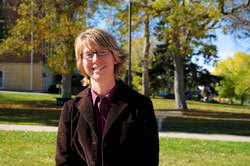 Erin Handberg, 2010 Mines Graduate Fellowship winner. Sheila Bailey, Physicist from NASA Glenn, visited the Nano program and gave a seminar on "Photovoltaics for Space Applications", with a quick tour of Mt. Rushmore afterward. 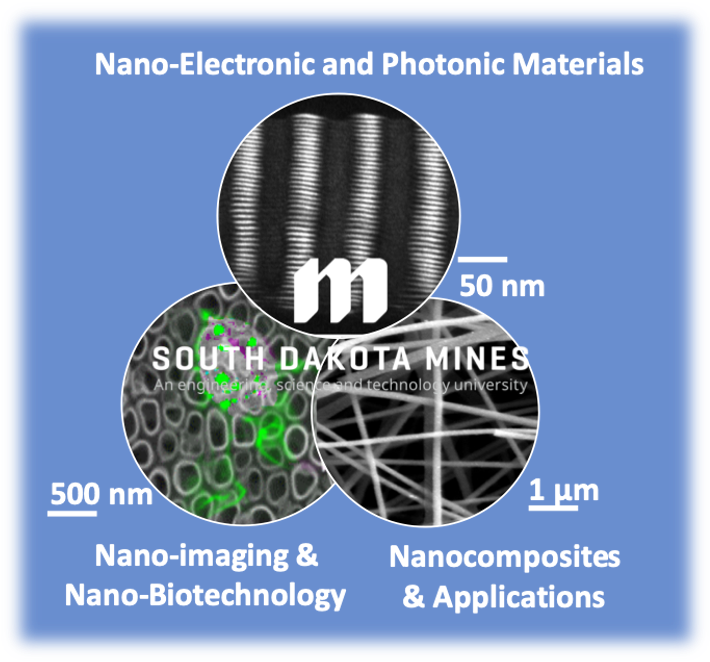 Where: South Dakota School of Mines and Technology, Rapid City, SD. Zhengtao, Sheila and Phil visit Mt. Rushmore. A visit to Kevin Costner's "Tatanka" reveals some of the heritage of the Sioux Nation, including a scale model of a Buffalo hunt. 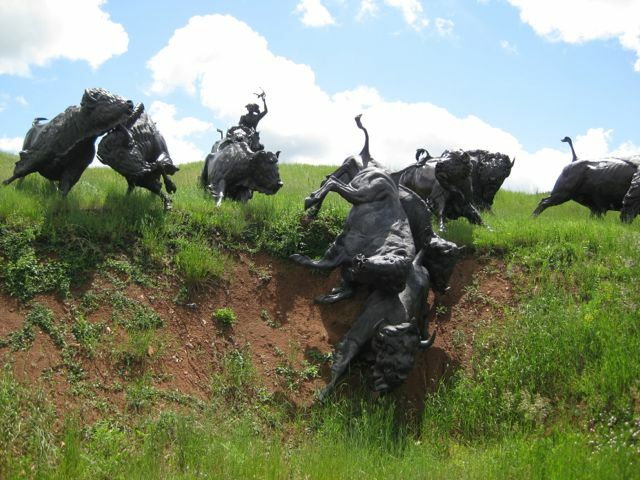 A sculpted recounting of a buffalo hunt. 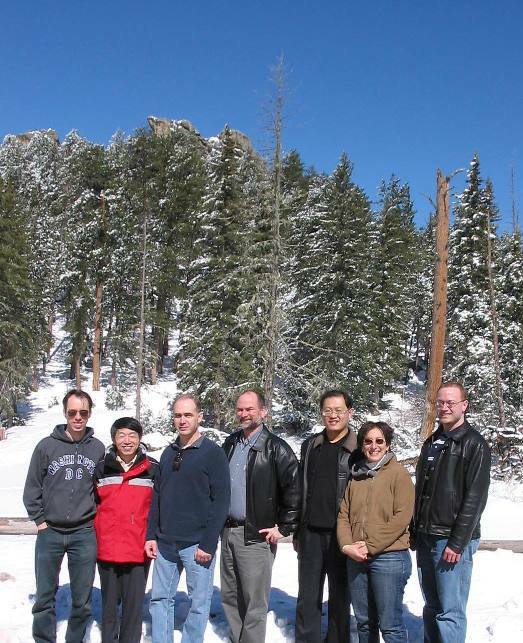 This one day symposium featured SDSM&T faculty and students, and their collaborators from CSM, UNL, USD, NMT and NREL. The symposium provided a forum for the exchange of ideas and expertise in nano research focused on energy. The symposium was closed with dinner and a play performed at the Firehouse Dinner Theater, featuring a modernized version of Moliere's "The Doctor in Spite of Himself". A morning excursion to Harney peak on the following day met with over a foot of snow, but sunney skies. The "treacherous eight" (number eight holding camera) at the foot of Harney Peak. 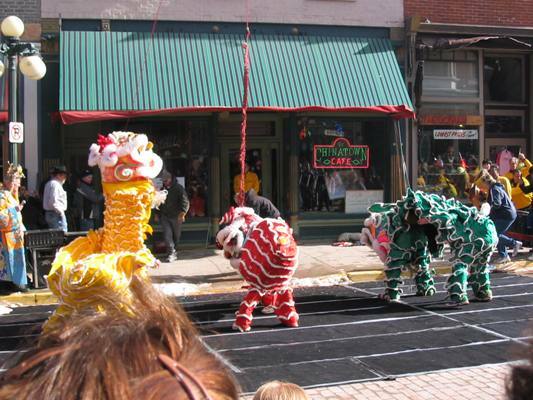 During South Dakota's mining era, the Chinese population in Deadwood was nearly 40%. Today, they carry on the traditional Chinese New Year celebration, including: parade, lion dance (with fireworks) and a Kung Fu exhibition! Where: Outside Miss Kitty's on Main St. in Deadwood, SD. The Chinese traditional lion dance, said to bring good fortune to the new year.